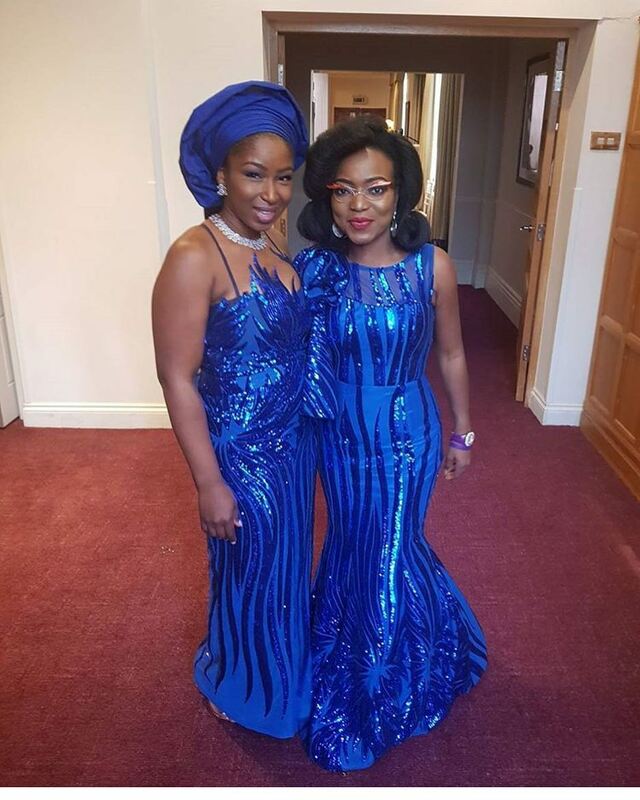 Blue colour for Asoebi is such a big deal! If you ask me, I don’t really fancy blue but I admit it looks beautiful when it’s made! 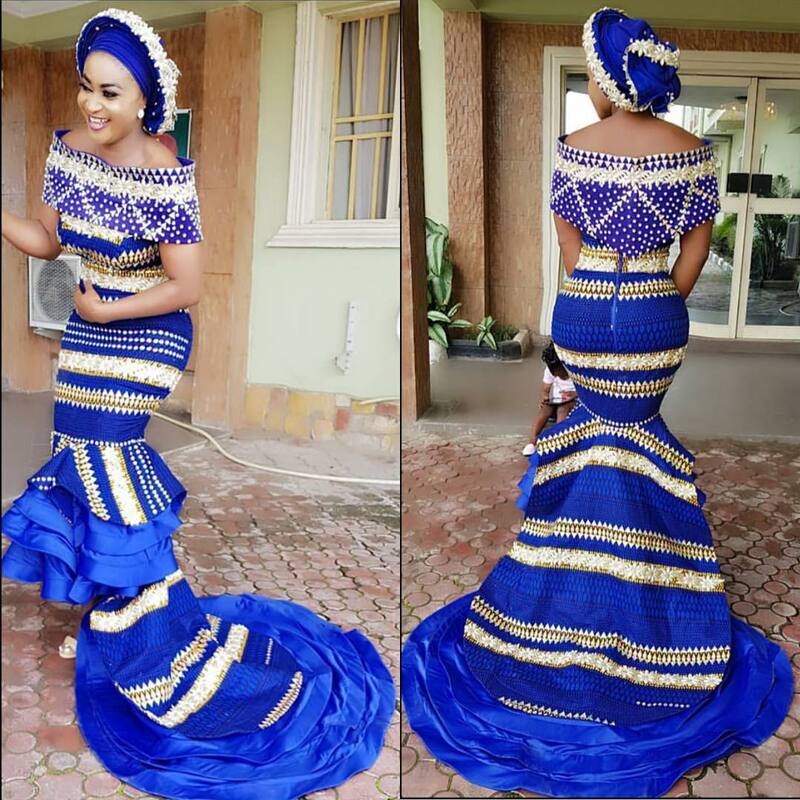 Many admit it is the colour of royalty and feel some sort of attachment to that royalty when you make an outfit with blue. 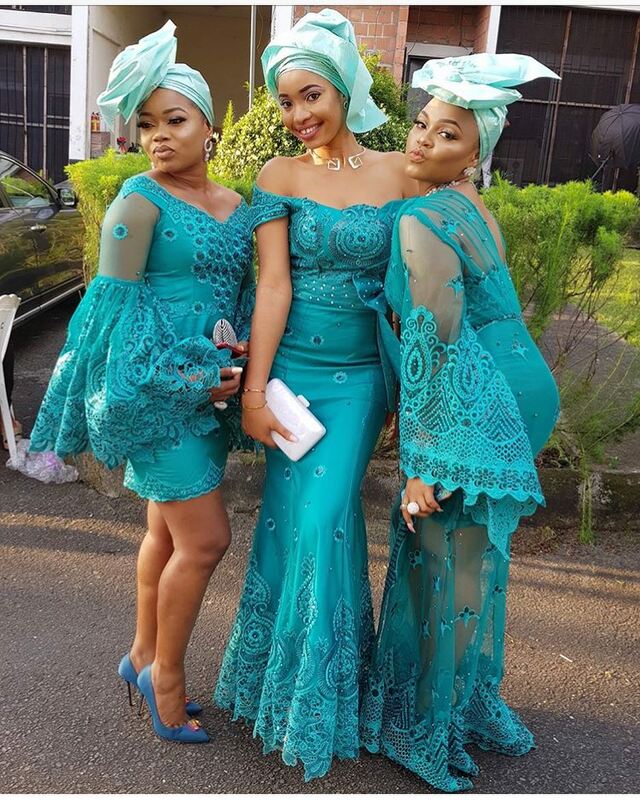 There are types of blue colour asoebi that you would find in Nigerian weddings such as royal blue, sky blue, turquoise blue(sort of blueish-green) but many still regard it to be in the family of blue. 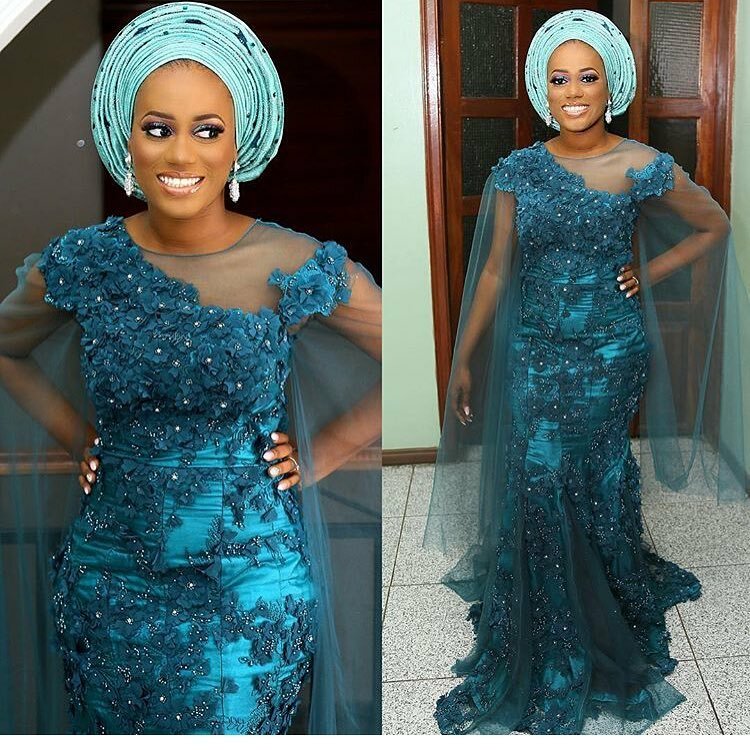 Either way you want it, the end point is to make your Asoebi stand out! We are loving these blue styles here! Previous post: Toke Makinwa Is A Real Life Barbie Doll In Gert-Johan Coetzee For The Elite Model Look Nigeria!